Join Gala Casino today and experience the trip of a lifetime! Deposit at least £10 and the rest will fall into your lap. 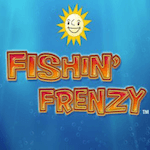 You’ll receive a 100% Match Bonus up to £400 to play the new and exclusive Fishin’ Frenzy as much as you want. The bonus and deposit amount will have to be wagered 20 times before being able to withdraw your winnings. This could be the beginning of a beautiful journey. Start playing and win those prizes!